Should You Buy Or Lease The Ather 450? Lease plan ranges from 13 months to 36 months. The downpayment starts at Rs 30,000 for the 340 and at Rs 40,000 for the 450. The lease plans are inclusive of the Ather Service subscription prices. These lease plans sure sound alluring if the requirement is temporary. However, if you buy the scooter after the lease period, you’ll end up spending more than the scooter’s on-road price had you purchased it in the first place. An interesting point to note is that the Ather Service subscription comes free, irrespective of the lease plan chosen. Whereas, if you buy the scooter instead of leasing it, the service cost is a recurring affair every year (after the first year). If you lease the Ather 340 you only get a charging cable, whereas with the 450 Ather will install a charging point at your home for the duration of the lease. The leasing is done via a financing company for electric bikes called Autovert. If you’re curious about the running costs of the Ather 450 versus its petrol-powered counterpart, head here. Also Read: Ather 450 vs Vespa SXL 150 - Which Is Cheaper To Run? 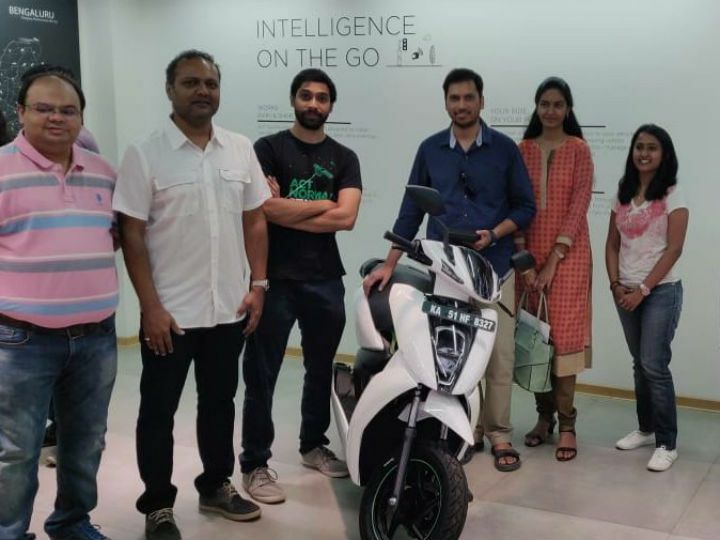 Currently, Ather Energy’s market is limited to only Bengaluru. However, the brand is working on setting up shop in Chennai next, and will commence operations from mid-2019 onwards. For finer details of the lease plans, visit the brand’s official website. Ather 450 And 340: What’s The Difference? Share your experiences with Ather 450? Confused about Ather Energy 450?